Only a CPA firm that specializes in working with the healthcare industry can design customized tax solutions for doctors, dentists, and other medical professionals. 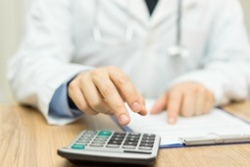 Mitul Mehta CPA PC is experienced in working with a variety of medical professionals and has unique insight on how to formulate a tax strategy that will bring your practice maximum savings. Our extensive knowledge of tax regulations and tax loopholes combined with our professionalism and integrity ensures that your practice is always in compliance and that you never pay one dollar more than the law requires. At Mitul Mehta CPA PC, we make it our goal to always be accessible to our clients. So, when you work with us, we encourage you to reach out to us with questions or to discuss how important financial decisions could impact your tax liability. Don’t wait until the next tax deadline approaches. Call us at (214) 746-5074 to get started now so there will be no surprises at the end of the year. We offer a strategy session so there's nothing to lose. We assist doctors, dentists, medical groups, chiropractors, nursing facilities, and many other businesses within the healthcare industry.